to tinsel on the Christmas Tree! 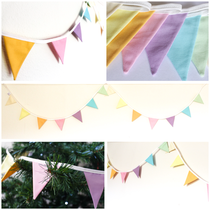 Very cute mini bunting made from a mixture of pastels coloured Makower fabrics. So beautifully bright and fresh! 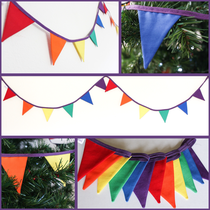 14 quality double sided flags in all colours of the rainbow sewn into 1.35 metres of bias binding. Loops sewn at each end for ease of hanging. 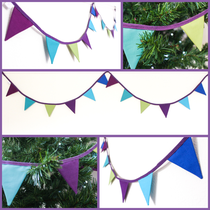 Looks fab as an alternative to tinsel in the Christmas tree or on a fireplace, staircase, window etc. 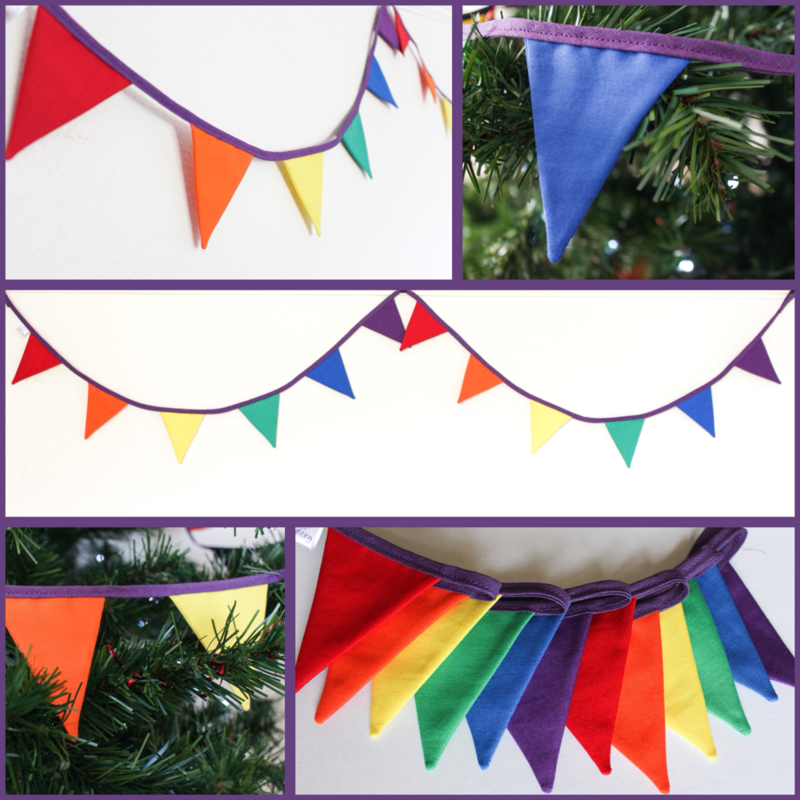 12 quality double sided flags in decadent peacock colours. 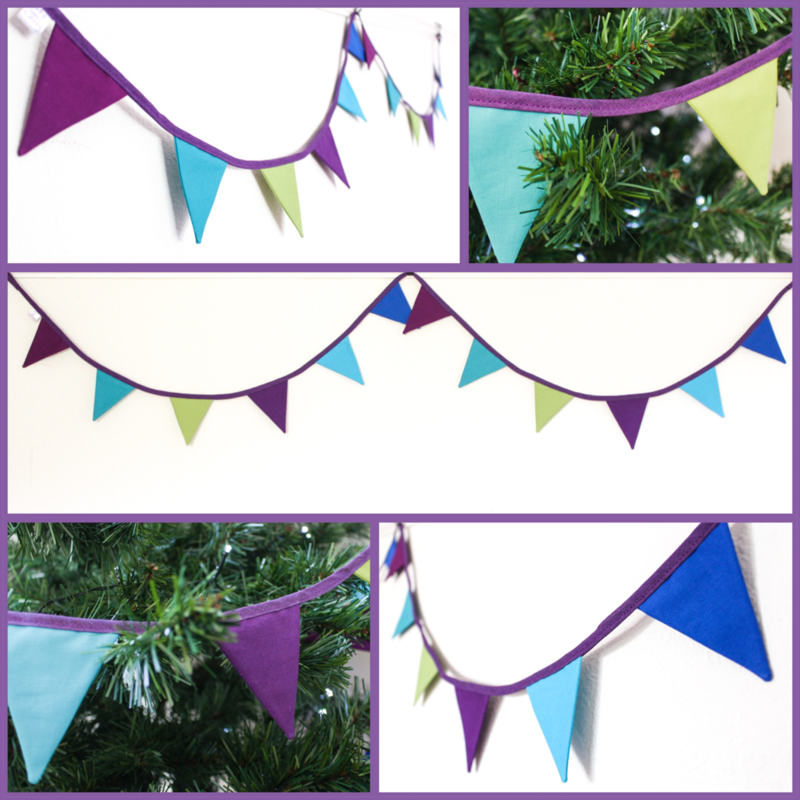 Each flag measures 7x8cm, sewn into purple binding. Total length approximately 1.5 metres. 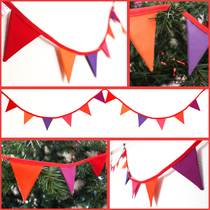 12 quality double sided flags, each measuring 7x8cm, in stunning tones of red, orange pink and purple. 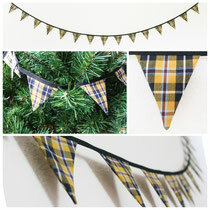 Made from Cornish Tartan cotton fabric. 15 quality double sided flags each measuring 7x8cm. Total length approximately 1.9 metres. We are currently busy updating the website but you can visit our Etsy Shop to see what is available to buy right now.